Today's segment is for the Rapa Nui housing vender. 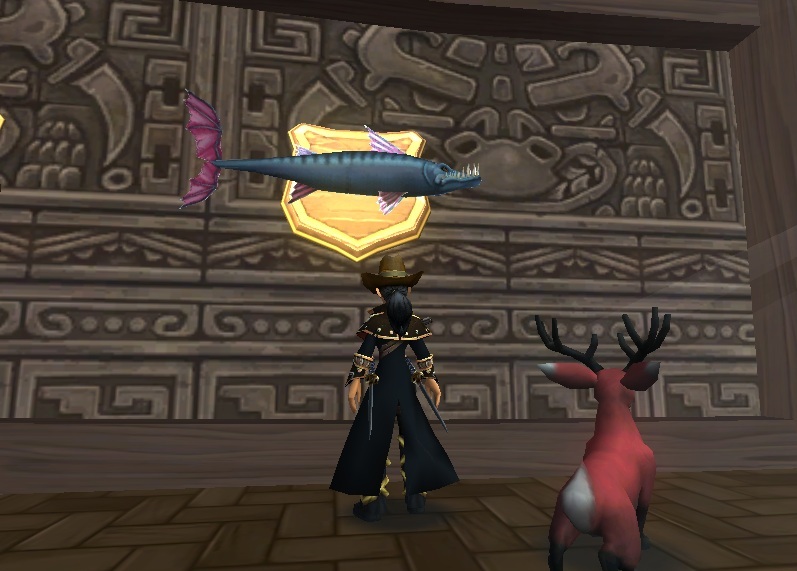 The Rapa Nui vender has some really amazing decorations, some seen in Wizard101 and some new for Pirate101 which makes for some really interesting decorating. 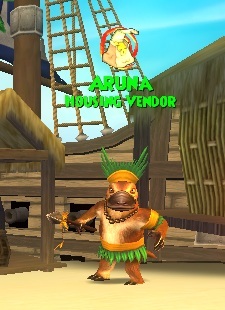 Rapa Nui has the palm trees and my favorite elephant ear plants for all those greenery needs. These plants give each house more demotions because now you can walk through planted areas and give that jungle feel to any area. 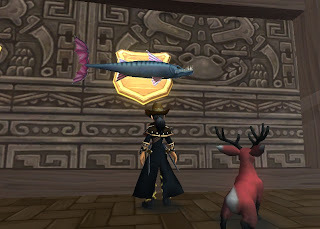 Wall hangings and furniture include; watermole shields , spear and this fantastic mounted Batacunda. Oh check out that really detailed wall paper there. Rapa Nui has some really nice looking paper and flooring. Last but not least is outdoor and decorations. Rapa Nui has some of the most interesting decorations and outdoor pieces , one is this straw hut you can actually walk through. I can see tunnels being made to using them as simple houses like I did in this village i created. 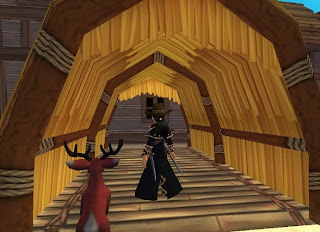 There is a boat I shown in a previous segment and check out that bamboo wall and straw umbrella! 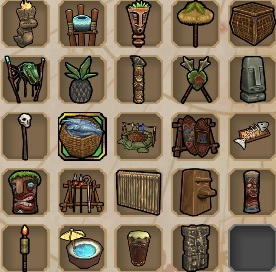 We also get food items such as fish, drinks and a pineapple. Hope all my readers enjoyed this segment, until next time happy house decorating. Bunk houses look nice. 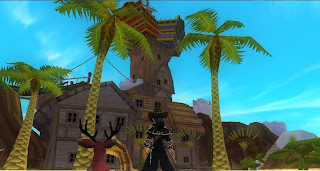 Look better than the Wizard101 dorms.